Four Ferraris sold for over two million dollar each at the biannual RM Auctions classic, exotics and historic racing car sale in Monaco. The 2014 Monaco classic car sale by RM Auctions in May 2014 was the most successful European sale ever for RM Auctions. An incredible sell-through rate of 93% saw RM Auctions grossing just over €41 million from 90 lots. No fewer than 18 cars attracted bids of over a million dollars each. The top four successful bids were for Ferrari models, including the second and fifth highest prices paid for classic cars at auction thus far in 2014. Historic racing cars also achieved high offers. The RM Auctions classic car sale took place on May 10, 2014 in the Le Sporting Monte Carlo to coincide with the bi-annual historic Grand Prix races in Monaco. The sale included a few boats motorcycles and memorabilia but by far the majority of lots were cars. The 2014 Monaco classic car auctions saw mostly Italian cars on offer ranging from simple Fiat 500s to the most exotic Ferraris, Maseratis and Lamborghinis. As befits an exotic car sale held with the sound of historic racing cars in the background, many classic racing cars were also on offer with several selling well above the guide price. The 2014 Monaco sale was the most profitable European classic car sale ever for RM Auctions. The auction grossed €41,3555,430 with 7 lots selling for over a million euro each and 16 selling for over a million dollars. (Two further highest bids exceeded a million dollar.) 10 individual auction world records where set on the night. Successful results include buyer’s premium. Sale was in euro. HB = highest bid not clearing reserve. The top four results at the 2014 Monaco RM Auctions classic car sale were for Ferraris with a further two Ferraris amongst the top-ten highest prices paid on the night. The highest price achieved at the 2014 Monaco RM Auctions sale was for a 1966 Ferrari 275 GTB/C with coachwork by Scaglietti. It was the ninth of only 12 such cars produced and considered the most original example. 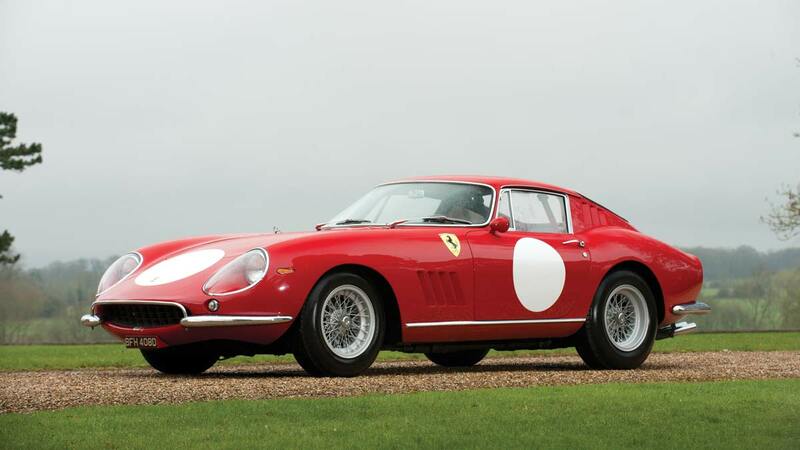 Its price of €5,712,000 ($7,860,283) is the highest ever paid for a fixed-head Ferrari 275. It was also the second highest price paid for a car at public auction thus far in 2014. The 1959 Ferrari 250 GT Cabriolet Series I by Pinin Farina set a world record for the model when it achieved €4,704,000 ($ 6,473,174) – the fifth highest price thus far paid at auction in 2014. It was the 36th of 40 built and the final factory covered-headlamp car. The third highest bid of the evening was for a 1956 Maserati 450 S Prototype by Fantuzzi. The highest bid achieved was €3,500,000, which failed to clear the reserve. The pre-auction estimate was €4-5.5 million. Two modern Ferraris also broke the million-dollar mark: a 1997 Ferrari F50 and a 2003 Ferrari Enzo. A 2006 Ferrari 575 GTZ by Zagato achieved a highest bid of $1.1 million but did not sell. The RM Auctions Monaco classic car sale coincided with the Monaco Historic Grand Prix races and suitably several historic racing cars were on offer, including several Formula One cars and a Monaco winner. The highest prices were paid for a 1967 Ferrari Dino 206 S Spider sold for €2 million while a 1968 Alfa Romeo Tip 33/2 Daytona achieved €1,260,000. A 1958 Lister Jaguar Prototype achieved €1,176,000 – well below the pre-auction estimate of €1.5-1.75 million. In contrast, the 1966 Brabham-Repco BT20 Formula One sold for just over a million euro, well above the estimate of €580,000 to €720,000. This car won the 1967 Monaco Grand Prix. The 1926 Bugatti Type 35B Grand Prix was the oldest car on offer this year at Monaco. It sold for €728,000 and thus just cleared the million-dollar cut-off mark by less than $2,000. Two classic car “recreations” achieved the same €812,000 result: the 1954 Mercedes Benz 300 SL Gullwing AMG with an original body and chassis but modern engine and gear box and a 1955 Lancia D50A Formula One Recreation with original engine and gearbox but a modern “tool room” recreated body.